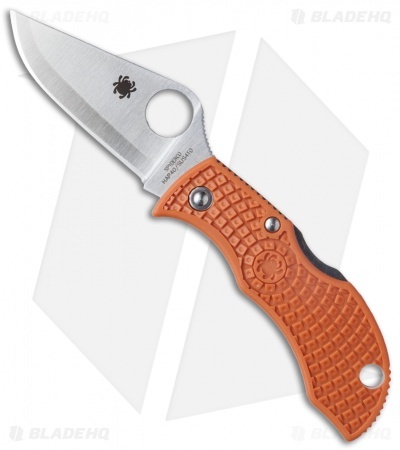 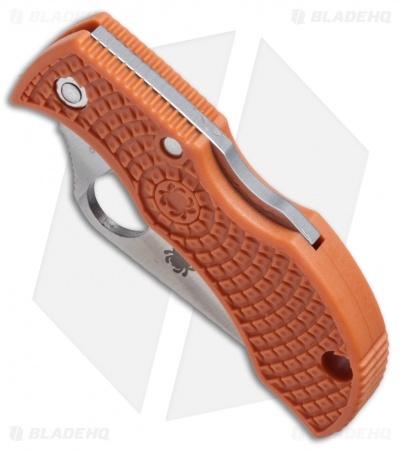 This 2016 Sprint Run MANBUG knife from spyderco features a burnt orange handle and HAP40 steel blade. 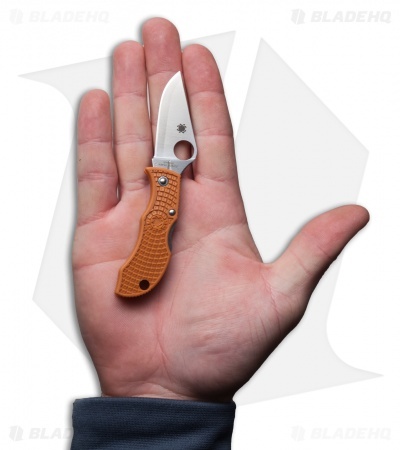 Add one to your collection before they're gone! Side by side, the Manbug and the Ladybug are a contrast of gender related differences. While they’re the same overall length, Manbugs are thicker and more muscular with a meatier frame than their thinner, lighter Ladybug counterparts. Their wider modified clip-point blade and handle carry compact and efficiently like a Ladybug, they simply have more testosterone. 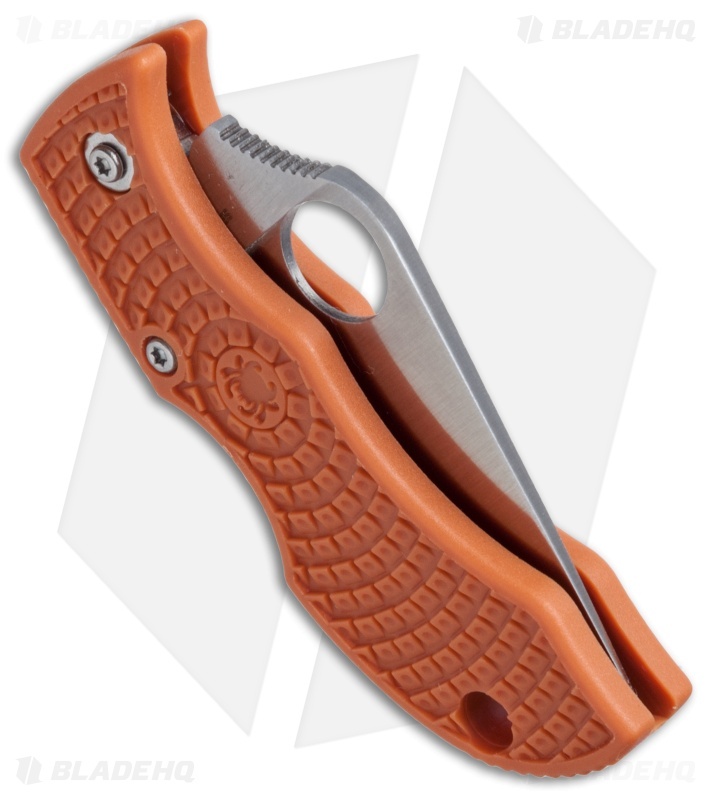 The ManBug has a full flat ground blade with a plain edge and satin finsh. The BiDirectional Textured FRN handle is grippy and features the David Boye Dent on the backlock. An impressive small knife that is perfect for key chain carry.